In the signature feature-length scripts, PAW & ORDER and the sequel, animals are on equal footing with humans and a Wolf and Honeybee are the lead detectives in this send up of the popular cop show. Star also is developing three short-form cartoon projects. See how she is doing below. When I became a finalist in the Oaxaca Film Fest , I needed someplace to smug brag. So I got a Twitter account. But before I did that, I read up and watched videos about Twitter. You know the expression, "So much has been written about everything, it's hard to find anything out about it"? Well, that applies. So finally I just signed up, created some tweets on my projects, hashtagged #animation #cartoons and so on. I also was told to follow people...so I followed BoJack Horseman (the look and hopelessly sarcastic tone I like for one of my projects), the creator of BoJack (sep account), and some other Hwood spots. Zap--all their tweets went on my account...chaos. So I muted them. So now I have no idea who sees what. I have decided it takes time for your excellence to be recognized. Ahem. Can anyone give me tips? My account also split in two..no idea why. This is The Blue Bird of Happiness? My handle is @TheStarLawrence, if you are interested. Oh--and I didn't win. But it was fun to think about and chat with some tweeters who did win. 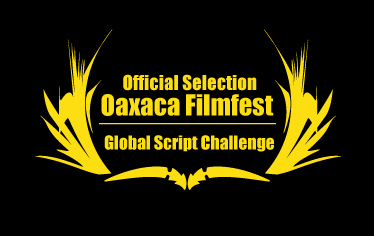 As a screenwriter, you can pretty much wipe out all your bank accounts entering contests, but I learned of a free script contest at the Oaxaca FilmFest9--coming up in October. For fun, I sent in my feature-length animated script PAW & ORDER. It's New York, the future, animals are educated, have good jobs and are on equal footing with humans. In this comedic takeoff on the famous show, Det Lupine (a wolf) and Sgt Buzzy (a honeybee) partner up to track down the killjoy who stole two human kids' TV satellite dish. They wisecrack with each other, grill suspects, and finally turn over the thief for a riotous trial. Full of puns, crazy jokes, and more fun than the law allows. You have to take the good with the bad, I always say. Working with the "young bunch"
Being "a certain age" is apparently the kiss of death in the movie business, much less the cartoon biz. Well, I cannot turn back the clock--so I better turn out the goods, right? As mentioned below, I am working through a site called Artella.com, put up by some ex-Pixar guys. From our facetime meetings, I see they are mostly 20s-30s Most have spent with a long time, relatively, in the trenches of animation, which is crazy complicated--but maybe not so much in screenwriting, plotting, character development, adaptation of property, and other skills. Anyway, I needed a video pitch of my project on Artella--and this turned into a monster project for me. I screened a number of videographers and concept artists (they do "still" drawings of characters). The videographers were two brothers, originally from Peru. They shot me for 3 hours...and boy did I learn again that acting is hard and I am no actress. I also spent several days tracking down the rights to a version of the old Troggs hit WILD THING for my music. I had my old filmmaking partner make a cut of the videotape and that did not turn out (long story). So I paid the brothers to cut it--and had to urge them to be bold, put in wacky touches--since when did young people become so conservative? Then we tangled over the volume of the music...They wanted to dial it way back to almost an indecipherable tinkle...I wanted it raucous--you know, like in a CARTOON! Yes, others also said the music was too loud, but I am OK with it and it's my call. Sooner or later, you have to "auteur" this stuff. OK--to catch up. 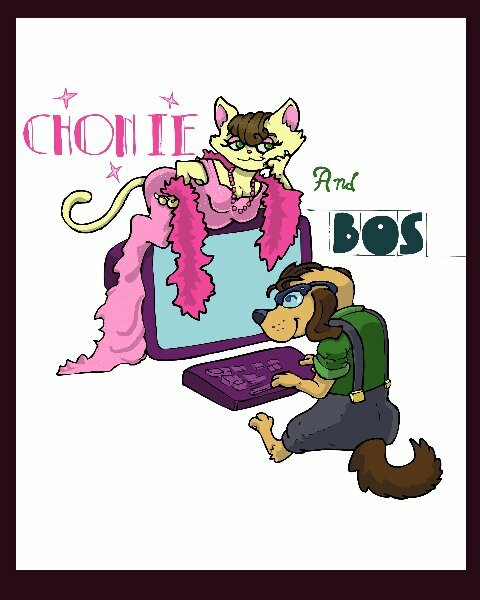 I decided to make a short trailer for my cartoon series CHONIE & BOS--using a collaboration site put up by some ex-Pixar guys. As I began to learn the VERY complicated ins and outs of animation production, I was told I needed concept art. After some very chaotic interactions with artists on Craigs, I finally settled on a guy who drew a few facial expressions for each of my four cat characters...whew, that took a lot out of me. But THEN, I learned from Bobby Beck, the honcho at the collaboration site (Artella.com), that I would do better attracting the various skills to my project if I had a "pitch video." A pitch video would be me talking about my project. I would probably get my old filmmaking partner Ross Stansfield to cut it together, but I would need the footage--and I am now 2500 miles away from Ross. About this time, too, it dawned on me that maybe I could use the pitch video to market the project instead of the animated trailer...So I would want good production values, since it would be going to production companies. I finally found two brothers on Craigs who are starting a video business here in the Phoenix area--Richard and David Carhuayo. They came yesterday with all their lights and equipment and we did a 3-hr shoot. I am no actress and proved it at first anyway--although I am hoping I loosened up by the end. It was crazy fun!! Reminded me so much of an earlier live action film Ross and I made and which won a Telly. Curious? You can see that on YouTube under Star Lawrence. Anyhow, we have not gotten to the rough cut or final cut or any cut stage on the video--so stay tuned. A wonderful website called Artella appeared and I caught wind of it and got in early. Started by some ex-Pixar animators, it is a platform for all the disciplines involved in animation to collaborate--either for money or love (with money to come later?). I decided my short continuing series CHONIE & BOS held the most promise for a sale and decided to make a 1-minute trailer for it. CHONIE, as I say below, is a vampy cat dictating her memoirs to a beagle named Boswell--and in the process she sees some of the errors of her alley ways and gradually changes. So far, I have attached a music composer (a professor in Madrid who has scored many projects), a sound man (with many credits), and a voiceover actor (a friend with many movies to his name). I had early interest from an animation company in Poland but he disappeared on me. If you read this and decide to sign up with Artella--and you do 2D animation--please seek me out on the site. We could make beautiful cartoons together. I have not posted since July--sorry--shameful. My work is under consideration several places at the moment. Makes it hard to type with all my fingers crossed. I entered the Nick short film competition with my BEE-TWEENZZ (see below) because each episode of that would be a standalone. They keep sending acknowledgments of my entry and when I see those, I think--ACK SHOT DOWN. But no...not yet anyhow. My long scripts--PAW & ORDER and the sequel--are under consideration by some investors. Think positive thoughts, OK? I also entered one of my daily blogs--on health--in an American Association for Advancement of Science competition--no word yet. Yes, I know it's not a film. But what is REALLY exciting is I have a new project underway--QWERKY KIDS CLUB. The core group of three characters are third-graders with what would today be called "disabilities." --EPPIE is asthmatic and also allergic to peanuts. She has an inhaler and EpiPen at the ready. --BITE ME is chubby--the most maligned category of this and most other eras. --SPIN is ADHD. He never stops moving despite his somewhat ineffective Ritalin doses. They tag up on the first day of third grade (in the pilot) and form an alliance, then get a little clubhouse. In the episodes, they are the envy of the "normal" kids for their clubhouse, the fun they have, and their ingenious ways of solving problems, lucking out, and foiling bullies (and adults). Along the way, they meet kids with other issues--one undergoing chemo, one with diabetes, another who lost a foot to cancer but has an awesome prosthetic and a wonderful three-legged dog. Some people said not to write about sick kids--but these are capable kids with physical issues--not sick kids. Unless you mean "sick" as in totally great. Have you ever heard of Archy & Mehitabel? This was a funny column created by a Chicago columnist named Don Marquis in the 1930s. You can Wackyped it or Google it. Anyhow, Archy was a droll cockroach who, as Marquis told his readers, was jumping off his typewriter, landing on keys and typing out messages to him about his pals in the underbelly of Chicago. One pal was a fun-loving, if aging and jaded, cat named Mehitabel. I contacted the columnist's heirs about getting rights--but they never answered. But this gave me an idea. These idea things always get me in trouble! I have an old cat in here someplace named Chonie--Spanish for underpants (she has lingerie markings on her stomach). I like the name (rhymes with "bony") and kept it. Instead of a roach (not fond--lived in the big city for decades), I decided her Boswell should be...well, Boswell, a Beagle mix. 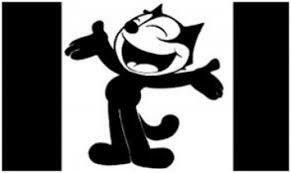 All resemblance to Archy & Mehitabel ends there. Chonie is a MaeWest type, feather boa and all. This is a continuing series--not standalone cartoons. 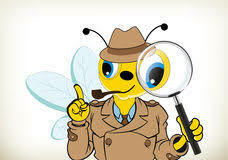 I am giving the company that rejected my BEE-TWEENZZ (am still marketing those) first look, as they say in Tinseltown. This one even has a character arc! So I am still at it even if I have not posted in several months. Wish me luck. I am a long-time freelance health and science reporter, screenwriter, and blogger. My work has appeared in venues from the Costco Connection to Washingtonian and WebMD. I also used to teach creativity at the Smithsonian.